We’d love your help. Let us know what’s wrong with this preview of Vanessa and Her Sister by Priya Parmar. London, 1905: The city is alight with change, and the Stephen siblings are at the forefront. Vanessa, Virginia, Thoby, and Ad For fans of The Paris Wife and Loving Frank comes a captivating novel that offers an intimate glimpse into the lives of Vanessa Bell, her sister Virginia Woolf, and the controversial and popular circle of intellectuals known as the Bloomsbury Group. To ask other readers questions about Vanessa and Her Sister, please sign up. Hello Priya, I'm curious about why you used the word 'transitive' in the sentence 'Rightness can be a transitive thing' on p233. I am assuming it's intentional and not a mistake instead of 'transient'... you are referring in some way to the object of the 'rightness'? Thanks to Priya Parmar for the Author's Note at the back of the book, it really hit the right note in ending her tale. It's interesting to me that Virginia, of course, went on to marry Woolf, after years of embedding herself in Vanessa's marital relationship, with the resulting consequences. I'd be curious to know - did she remain physically faithful to her own husband during their marriage? 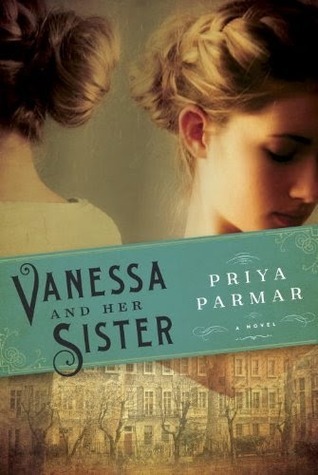 Vanessa and Her Sister: A Novel by Priya Parmar is the fictionalized diary of Vanessa Stephen Bell. The novel attempts to capture the Bloomsbury Group and Virginia Stephen Woolf. Parmar holds degrees in literature and theatre and is completing her PhD at the University of Edinburgh. I saw this book was available for review and immediately started on it. Virginia Woolf is one of my favorite authors and the Bloomsbury Group is one of the most interesting groups of people in that period. With my bac Vanessa and Her Sister: A Novel by Priya Parmar is the fictionalized diary of Vanessa Stephen Bell. The novel attempts to capture the Bloomsbury Group and Virginia Stephen Woolf. Parmar holds degrees in literature and theatre and is completing her PhD at the University of Edinburgh. I saw this book was available for review and immediately started on it. Virginia Woolf is one of my favorite authors and the Bloomsbury Group is one of the most interesting groups of people in that period. With my background in history, historical fiction is usually hit or miss, with miss winning out most times. Last year, I read a novel about Machiavelli and Da Vinci . It consisted of Machiavelli throwing out quotes from The Prince and Da Vinci proclaiming “Science” as if caught in a Thomas Dolby song in a continuous loop. However, I started Vanessa and Her Sister with high hopes. The reader views the story through Vanessa’s diary and telegraphs between Lytton Strachey and Leonard Woolf. Roger Fry also telegraphs in from New York. The Bloomsbury Group members are all well portrayed in the novel and seem to hold to the historical records. Of course with historical fiction conversations are based on interpolations of events and people. I really enjoyed the writing and the story with one exception: Virginia Woolf. I do understand Virginia Woolf had problems with mental illness throughout her life and was hospitalized several times. I also have read her diaries, letters, and her nephew’s biography. Not being an expert in mental health, there does seem to be long periods of stability. I could not help get the feeling that Virginia Woolf was being portrayed as being much deeper in mental illness. There is a nearly perfect description of Narcissistic Personality Disorder in describing Woolf. From the story of wanting a friend's table to her relationship with Clive Bell (Vanessa's husband), Woolf seems to consider only herself. She also seems unable function without the help of her sister’s constant attention. The story seems to go much deeper than the bipolar disorder that Woolf has since been diagnosed (previously called nervous disorders). I also received the impression that Woolf was much like Dustin Hoffman’s Rainman -- brilliant, but unreachable and untouchable. Only Vanessa could control her, and only Thoby could get her to eat. Starting in 1904, this novel spans six years in the life of the Stephen family and the very talented members who make up the Bloomsbury group. I loved this book and loved that the novel is told from the journal or diary writings of Vanessa Bell. Additional letters from other members of the group along with telegrams and other travel paraphernalia, gave such a personal look at these amazing people and the beginnings of their success. Would love to been at their intellectual evenings discussing pa Starting in 1904, this novel spans six years in the life of the Stephen family and the very talented members who make up the Bloomsbury group. I loved this book and loved that the novel is told from the journal or diary writings of Vanessa Bell. Additional letters from other members of the group along with telegrams and other travel paraphernalia, gave such a personal look at these amazing people and the beginnings of their success. Would love to been at their intellectual evenings discussing paintings and literature. Though I think having people around all the time must have been wearying at times. I live very near to Vanessa Bell’s house. Whenever someone comes to visit I take them to see Charleston, Vanessa Bell’s house and have come to know it almost as well as my own house. Therefore this novel held a special interest for me. There are two ways of looking at this book – either as a novel which is what it calls itself or as fictionalised biography. I’m not sure it really works as a novel, by which I mean I don’t think it would hold your interest if you weren’t already interested in Virg I live very near to Vanessa Bell’s house. Whenever someone comes to visit I take them to see Charleston, Vanessa Bell’s house and have come to know it almost as well as my own house. Therefore this novel held a special interest for me. There are two ways of looking at this book – either as a novel which is what it calls itself or as fictionalised biography. I’m not sure it really works as a novel, by which I mean I don’t think it would hold your interest if you weren’t already interested in Virginia Woolf, Vanessa Bell and the Bloomsbury group and equipped with some background information about them. Without that knowledge you might wonder why the novel is scattered with letters from characters who, though they will go on to play a major role in Vanessa and Virginia’s lives, are largely peripheral in the period the novel covers. Shouldn’t a novel after all be a self-contained edifice? The novel is written as a diary by Vanessa Bell with the constant insertion of real letters from other members of the group to each other. Essentially it focuses on Virginia and Vanessa’s relationship which is depicted as a war of attrition. Virginia is madly jealous of Vanessa’s marriage and Vanessa, in turn, is jealous of Virginia’s superior talent and mind. I found the depiction of this sibling rivalry fascinating, though skewered always in Vanessa’s favour. Virginia comes out looking selfish, pretentious and destructive, an almost constant drain on those around her. The stance the novel takes is that Virginia wasn’t interested in Clive, she simply wanted Vanessa’s attention. But the novel makes light of the fact that Clive Bell was the first person to read Virginia’s writing closely and take an interest in it and that as a result her self-esteem received a vital boost from his critical admiration. The novel makes light of Virginia’s deeply passionate relationship with her writing all together. Vanessa is her obsession in this narrative. This is the central idea of the novel and what distinguishes it from other accounts of Virginia’s life. But there’s a sense the author is forcing the narrative to fit this rather simplified premise at times. We all wage war with our sisters at times, we all feel competitive with them, we even flirt with their husbands. But I’m not sure any of us would think of it as the kind of defining trait that the author attributes to Virginia. Basically the author is so sympathetic to Vanessa that she warms to any character who is kind to Vanessa but is very critical of the characters who cause her distress. Ultimately I did feel the narrative was biased in Vanessa’s favour which damaged any claim it might have to being biography. That said, it’s very well written and for someone like me who finds these characters fascinating was an immensely enjoyable read. I loved the idea of this book--a fictional history of Virginia Woolf and her sister Vanessa during their 20's while still single, told through letters and post cards. I adore reading old letters in epistolary novels...usually. Here, though, there were just too many people writing letters to too many people. It did not work for me at all. I managed to grasp a few incidents of Virginia's mania, and thought the Vanessa character was well drawn, but not very interesting. Overall, boring. This is a beautifully evocative historical novel, built around the relationship between Vanessa Bell and her sister Virginia Woolf. When we first meet them in 1905, they are the Stephen sisters, living with their brothers Thoby and Adrian in a Georgian square in Bloomsbury. Of course, this is the beginning of the Bloomsbury set, when the Stephens house becomes central to a whole host of visiting writers and artists, including Lytton Strachey, Clive Bell, Saxon Turner and Walter Lamb. Relatives l This is a beautifully evocative historical novel, built around the relationship between Vanessa Bell and her sister Virginia Woolf. When we first meet them in 1905, they are the Stephen sisters, living with their brothers Thoby and Adrian in a Georgian square in Bloomsbury. Of course, this is the beginning of the Bloomsbury set, when the Stephens house becomes central to a whole host of visiting writers and artists, including Lytton Strachey, Clive Bell, Saxon Turner and Walter Lamb. Relatives look down on the shabby house, which is located too far from everything and for the bohemian lifestyle the siblings live. The novel is cleverly interspersed with letters, postcards and telegrams from various characters, but our main narrator is Vanessa. Throughout the book, we are always aware that Virginia’s behaviour dominates the house. Her siblings are always concerned about her eating and her moods and her relationship with Vanessa is the central one of the book. When Vanessa marries Clive Bell, it both changes her life and also alters her relationship with Virginia. I have read factual biographies of both Virginia Woolf and Vanessa Bell, but I am aware of their lives only as a casual reader. Depending on your interest in the sisters, you may well spot discrepancies in the novel; but then this is fiction and not a biography. As a novel, it does not depend on any previous knowledge about either Vanessa Bell or Virginia Woolf and is a beautifully written book. The author seems to capture the essence of Vanessa in this novel – it is haunting, unfolds slowly and yet is full of deep emotion and events. As a mother, I found I responded to Vanessa’s discovery of how much she was unprepared for her deep love for her first baby and found the novel really engrossing. A beautiful novel, which would be ideal for reading groups, which much to discuss. Lastly, I received a copy of this book from the publisher, via NetGalley, for review. Wow! Hard to believe this is a first novel by Priya Parmar! Its an epic historical fiction novel about the vibrant-exotic lives of the 'Stephens Family' and their artistic friends 'The Bloomsbury Group'. This novel beings in London --Pre-War --1905. The Four 'Stephen siblings' are Vanessa, Virginia, Thoby, and Adrian. Each of these adult siblings are talented -bright- and colorful ---(Vanessa does painting, Virgina is a writer, Adrian has theatrical experience, Thoby has athletic abilities and is Wow! Hard to believe this is a first novel by Priya Parmar! Its an epic historical fiction novel about the vibrant-exotic lives of the 'Stephens Family' and their artistic friends 'The Bloomsbury Group'. Each of these adult siblings are talented -bright- and colorful ---(Vanessa does painting, Virgina is a writer, Adrian has theatrical experience, Thoby has athletic abilities and is outgoing in personality). They are each great thinkers in their own way. The Stephen Siblings & the Bloomsbury Group are young--living a Bohemian life. They travel -- (each going in different directions) --yet stay in close contact through letters, postcards. Plus they vacation together. Everyone seems to be coming and going ---but the communication through their letters keep them rooted closely together --'as family'. The love between Vanessa and Virgina, (the two sisters) gets tested after Vanessa falls in loves and gets married. (Virgina feels abandoned & jealous) ...Tension grows as secrets & betrayal begin to shadow their relationship. The characters are filled with passion, love, grief, anger, sadness, fears, loss, love. Virgina Wolf said...."I want to be in motion: On ship, horse, train, a truck --it does not matter". I want to be moving away from here, where I worry about letters I will receive and write". Several fascinating 'detail' surprises ---This novel is PACKED with meticulous details --with a flowing story line! In this book we get to know the people in Bloomsbury Group through Vanessa Stephen's (later Vanessa Bell) journal. This book also contains postcards and letter sent from various members of the group. I can't say I was overly pleased with the journal approach of this book, and I was a bit confused why there were dialogs in the journal. I mean I haven't written a journal in years, but who writes dialog in it? It would have been just better to have this book written from Vanessa's point of view with In this book we get to know the people in Bloomsbury Group through Vanessa Stephen's (later Vanessa Bell) journal. This book also contains postcards and letter sent from various members of the group. I can't say I was overly pleased with the journal approach of this book, and I was a bit confused why there were dialogs in the journal. I mean I haven't written a journal in years, but who writes dialog in it? It would have been just better to have this book written from Vanessa's point of view without the journal entries. Rating this is simple. I know I really liked it, so four stars! Figuring out why I liked it so much is the hard part.….but not really. It is because the book displays in-depth character analysis. This appeals to me. There is a lot to think about in terms of how people (lovers and spouses and friends and siblings) relate to each other. The central theme of this book is the relationship between painter Vanessa Bell and her sister, the famed author Virginia Woolf, two central figures of the Bloomsb Rating this is simple. I know I really liked it, so four stars! Figuring out why I liked it so much is the hard part.….but not really. It is because the book displays in-depth character analysis. This appeals to me. There is a lot to think about in terms of how people (lovers and spouses and friends and siblings) relate to each other. The central theme of this book is the relationship between painter Vanessa Bell and her sister, the famed author Virginia Woolf, two central figures of the Bloomsbury Group. In 1905, when the book begins, Vanessa and her brother Thoby began the "Thursday Evenings" followed by the "Friday Club" meetings. These became the basis for the Bloomsbury Group. I must repeat, the book focuses on personal relationships. Primarily that between the sisters, but also with their brothers, Adrian and Thoby Stephen, and other members of the group - Lytton Stachey, E. M. Forster, Clive Bell, Roger Fry, Desmond MacCarthy, Duncan Grant and Leonard Woolf. There is a bit about young John Maynard Keynes too, another important member. The book is less about the achievements of the Bloomsbury Group than about the relationships that existed between its members. This is important to understand when choosing to read the book or not. The book concludes in 1912 with Virginia's marriage to Leonard Woolf. Only a short period, eight years, is covered. This book is historical fiction. There are zillions of non-fiction books detailing the specific achievements of the group's members. What this book does is draw the internal landscapes of the characters. Their emotions and thoughts. The author thoroughly convinced me that she understood these individuals and portrayed their internal thoughts and emotions genuinely. There is an afterword that briefly explains what happened to the characters after 1912. It also states that the author has followed the historical template. That which is fictional is clearly specified. The book is told through Vanessa's diary entries, and other assorted letters, postcards and telegrams. Vanessa never kept a diary, and thus the lines are fictional. The essential is that these lines while being fictional are based on solid research. I am thoroughly convinced that the author has captured the internal landscape accurately. The lines feel true and they offer food for thought to an inquisitive reader. I like this book because of the fictional lines. I like the book because at the same time the author has not distorted the facts. She made one minor change and that is clearly specified. The audiobook narration is very good too. There are four different narrators. It is the author of the letter, diary entry, postcard or telegram that determines who narrates that part of the audibook. Emilia Fox is the main narrator; she reads Vanessa's entries. She does a superb job. Clare Corbett reads Virginia's entries; her narration is fine but nothing special. Julian Rhind-Tutt reads Lytton Strachey's entries. Daniel Pirrie reads Leonard Woolf's, Saxon Sydney-Turner's and Clive Bell's entries. Anthony Calf reads Roger Fry's, Thoby Stephen's and Desmond MacCarthy's entries. All of the male roles were very well read. You easily understand who is speaking; you hear the voice and are given pertinent details that clarify the origin of the correspondence. I learned a lot about both Vanessa Bell and Virginia Woolf. Both are fascinating individuals and artists. I prefer this book over The Hours. I feel you get a deeper understanding of Virginia, of her quirkiness, of her talents, her intelligence and her illness and finally of her ever so important relationship with Vanessa. (3.5) Parmar’s second novel brings the Bloomsbury group to vibrant life. This is Vanessa Bell’s imagined diary, incorporating letters and telegrams. In 1905, the four Stephen children have recently been orphaned. Vanessa, the eldest, strives to keep the family together in their London home while focusing on her painting. Mercurial Virginia, periodically affected by mental illness, struggles with her writing. Spanning the years until 1911, the novel covers the siblings’ trips abroad and their inte (3.5) Parmar’s second novel brings the Bloomsbury group to vibrant life. This is Vanessa Bell’s imagined diary, incorporating letters and telegrams. In 1905, the four Stephen children have recently been orphaned. Vanessa, the eldest, strives to keep the family together in their London home while focusing on her painting. Mercurial Virginia, periodically affected by mental illness, struggles with her writing. Spanning the years until 1911, the novel covers the siblings’ trips abroad and their interactions with their Bloomsbury set. Vanessa’s marriage to Clive Bell prompts the book’s central crisis: Virginia is half in love with Vanessa and cannot let her go, so punishes her by starting an emotional relationship (never physically consummated) with Clive. The Bells later adopted an open marriage. Lytton Strachey’s postcards to Leonard Woolf, serving in Ceylon, are a highlight. Indeed, Lytton nearly steals the show. He was adamant that Leonard should marry Virginia, and history proved him right. There are a few too many characters here, some (like E. M. Forster and Maynard Keynes) peripheral enough that they could be left out. A narrower time period might also have produced a more focused story. I'm wary of novels written about real people whose lives are in living memory; because I think it's too easy for the line between fact and fiction to be blurred. But I found so many reasons to pick up this book. It has such a lovely cover, it's set in a milieu that I love, it's a story of sisters, and it's a story that places the lesser known of two celebrated sisters at the centre of the stage. The two sisters are artist Vanessa Bell and writer Virginia Woolf, and this is Vanessa's story. It's w I'm wary of novels written about real people whose lives are in living memory; because I think it's too easy for the line between fact and fiction to be blurred. But I found so many reasons to pick up this book. It has such a lovely cover, it's set in a milieu that I love, it's a story of sisters, and it's a story that places the lesser known of two celebrated sisters at the centre of the stage. The two sisters are artist Vanessa Bell and writer Virginia Woolf, and this is Vanessa's story. It's written as a journal; a fictional journal inspired by her own correspondence and by the writings of many whose paths she crossed. The story begins in 1905. The mother of the Stephens family has been dead for some years, the father of the has died more recently, and their four children - Vanessa, Virginia, and their two brothers, Thoby and Adrian - have moved from the family home in Kensington tp a more bohemian shared home in Bloomsbury. They are preparing for a party - a lovely nod to Mrs Dalloway - and as the book moves forwards there are so many thoughtful details lie that, details that will strike a chord for thoughtful, careful reader. There will be many parties, and neighbours will gossip about the gatherings at which mixed groups of unchaperoned young people drink and talk about about art and literature until the early hours of the morning. Vanessa loves her unconventional new life, but, maybe because she is the eldest of the four, she becomes the responsible adult. She manages the housekeeping, she does the household accounts, and she does whatever she can to smooth her sister's mood swings. There are references to a severe breakdown in the recent past, and it is clear that Vanessa is carefully stage managing family life to try to make sure that nothing like that will happen again. I could see much that was admirable in Vanessa's actions, but I could also see cause for concern. Virginia became so accustomed to having her own way, however selfish and unreasonable that way sometimes was. And she maybe came to believe that she would always be at the centre of Vanessa's world. That would become evident when Vanessa became a wife - to art critic Clive Bell - and then a mother. Parmar follows the lives and the relationships of these three people with keen understanding and with wonderful subtlety. Vanessa’s has doubts about Clive’s courtship, but her resistance softens, and she finds such joy in marriage and in motherhood. Clive though feels ousted, first by his wife's pregnancy and then by the arrival of his son. Virginia's desire to be the sole object of her sister’s attention is thwarted, and, though her behaviour may seem spoilt and selfish, it is clear that she is living of fear of being left alone, and of what her unstable mind might do. Years later she would write: “My affair with Clive and Nessa turned more of a knife in me than anything else has ever done”. The writing of Vanessa's fictional journal is beautiful, and, though it tells a quiet story of lives being lived, there were moments when it caught real emotions so clearly, moments when words caught ideas so very well. That record is set against telegrams and postcards between other members of her social circle. That is very effective. The correspondence between Lytton Strachey and his friend Leonard Woolf, who was working for the civil service in Ceylon, was a delight and I could have happily read a whole book of it. Lytton was delighted when the friend who he thought would be the perfect match for his friend Virginia came home. "I have grown so accustomed to singing for you, like a siren beached up on a friendless rock. Whatever will I do with my time, now that I no longer need to lure you home?" And of course he was right! Not all of the correspondence was so successful, and it was a little disappointing to only have a glimpse of many fascinating characters, and that the story came to a conclusion rather too quickly. This book isn't definitive, of course it isn't, but I found the story of Vanessa’s emotional life, and of her progression towards a grown-up, independent future, wonderfully readable. That, and its lightness of touch, say to me that this would be a lovely introduction for anyone who is a little scared of Virginia Woolf, or for anyone who is wondering who Vanessa Bell was. What a wonderful and vibrant imagining of the lives of artist Vanessa Bell and and her sister, the difficult genius, Virginia Woolf, this book is. Joining the story early in there lives before either is married: Virginia is struggling to write, and Vanessa has yet to sell a painting. Already though they are part of a intellectual circle of writers and artist named the Bloomsbury group. These include such names as Lytton Strachey, Clive Bell, Rupert Brooke, Saxon Sydney-Turner, Duncan Grant, John What a wonderful and vibrant imagining of the lives of artist Vanessa Bell and and her sister, the difficult genius, Virginia Woolf, this book is. Joining the story early in there lives before either is married: Virginia is struggling to write, and Vanessa has yet to sell a painting. Already though they are part of a intellectual circle of writers and artist named the Bloomsbury group. These include such names as Lytton Strachey, Clive Bell, Rupert Brooke, Saxon Sydney-Turner, Duncan Grant, John Maynard Keynes, David Garnett, E.M Forster, who had written but not named what would soon be known as A Passage to India and Leonard Woolf, who is stationed in Ceylon. The two sisters adore each other, something that is not changed, despite Virginia's persistent mental breakdowns and erratic behaviour such as being a part of the Dreadnought hoax with other members of the Bloomsbury group in 1910. Both sisters will be married throughout the book, but it will be Vanessa's that will cause the most angst. Virginia, caught in the middle of a love triangle with Clive, does her best to undo at the expense of her mental state that continues to decline while driving a wedge between the two that will remain for the rest of there lives. 4.0 out of 5 stars -- "Hope is an unbreakable habit." At the moment of finishing, I was overwhelmed by this book and needed to let all of the nuances and ramifications settle before I wrote a review. If I look at this as fiction, it is simply an amazingly good story -- but since I'm no literary historian, I can't speak to the veracity of this account of the lives of Virgina Woolf and her sister Vanessa. Wow. This is not a fast paced narrative, but one that builds slowly with a crescendo simmering 4.0 out of 5 stars -- "Hope is an unbreakable habit." This is not a fast paced narrative, but one that builds slowly with a crescendo simmering until it rises and crashes against a preconceived notion of what family means and how betrayal can destroy a relationship. Vanessa is the older sister to Virginia Stephen Woolf and they live in Bloomsbury circa 1905 where they entertain the elitist intellectuals, writers, artists and acquaintences of their older brother, Julian Thoby, a Cambridge graduate and lawyer. Since they are orphans, they've adopted an unusual style of having friends over for evenings of discussion and passionate argument. Virginia is very attached to Vanessa, and this story is told in the form of diary entries and includes other forms of communication such as telegrams and replications of tickets and purchase orders. The reader sees a snapshot of their lives -- sometimes momentous things happen with little fanfare and the narrator isn't always as forthcoming with details as one would like. Do you have a sister? I have 4 of them and I was quite aghast at the situation that develops between Vanessa and Virginia. I read other sources to get a few different points of view about the accuracy of the events described in this book and if true, I can say that I'm glad I didn't have a sister like Virginia. It's fairly well accepted that she did suffer mental illness but not much was known about effective treatment at the time and she definitely took a large piece of her loved ones with her when she committed suicide. I enjoyed the novel and this view of the Stephen sisters in their everyday lives. I'd recommend it to anyone interested in a view of Virginia Woolf told from her sister's point of view. received an advanced copy of this book from the publisher via Edelweiss in exchange for an honest review. The expected publication date is December 30th 2014. I hesitate to pen my thoughts on this story. I always wonder if I am being harsh or if I missed something when I am not particularly fond of a book that seems to be getting glowing reviews. I just simply did not feel the love for this story. The reason for my lack of enthusiasm is simply put the subject matter/characters of the book. I did not find them interesting nor their lives and I found myself forcing my way through the story. Vanessa was simply boring to me as was her family and friends. They were not enough to sustain the book. It is a shame because I did like the concept of the story. The way Parmar captured her story through diary entries, letters & travel tickets was very interesting. I found this allowed you to read as little or as much as you wanted to in one shot without losing any impact. I also found her writing enjoyable and easy to follow. This is the story of the two sisters Vanessa Bell and Virginia Woolf. Their life’s story is told by Vanessa through her diary and by making use of the existing correspondence among them and their friends as well. Basically, the author describes the story of the Bloomsbury Group which comprises some very well-known writers such as Virginia Wolff, John Maynard Keynes, E.M. Foster and Lytton Strachey . Even if it’s a work of fiction, the author kept “the external chronologies and events as much accurate as possible”. 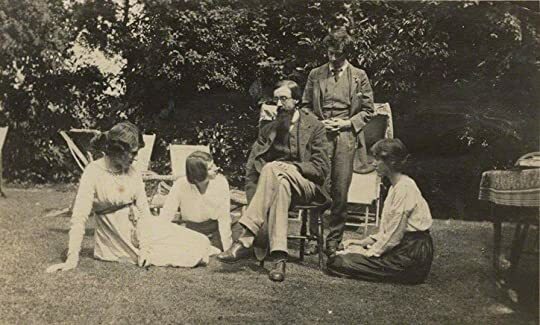 Some of the Bloomsbury members, left to right: Lady Ottoline Morrell, Maria Nys (later Mrs. Aldous Huxley), Lytton Strachey, Duncan Grant and Vanessa Bell. According to Wiki, At Trinity in 1899 Lytton Strachey, Leonard Woolf, Saxon Sydney-Turner and Clive Bell became good friends with Thoby Stephen, and it was through Thoby and Adrian Stephen's sisters Vanessa and Virginia that the men met the women of Bloomsbury when they came down to London. 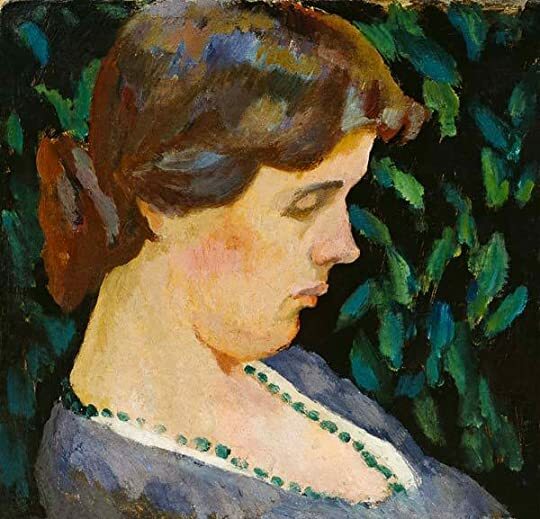 Vanessa Bell was the eldest sister of Virginia. Both sisters suffered quite a lot with the death of their brother Thoby. Vanessa, also referred as Nessa in this book, had an “open marriage” with Clive Bell, an art critic. Vanessa’s paintings are considered as Post-Impressionism style. The lives of both sisters were quite tumultuous, specially due to Virginia’s jealousy of Vanessa which was increased with Nessa’s marriage and the birth of her children. It seems that Virginia was a quite possessive sister, she wanted exclusive attention from everyone around her. Roger Fry, Portrait of Vanessa Bell, 1911. Vanessa Bell is portrayed by Janet McTeer in the 1995 Dora Carrington biopic Carrington, and by Miranda Richardson in the 2002 film The Hours alongside Nicole Kidman as Virginia Woolf. Another book on the same subject was published in 2010 by Houghton Mifflin Harcourt: Vanessa and Virginia by Susan Sellers. Archive Journeys Bloomsbury: this site provide timeline, biographies and description of the Bloomsbury Group. I have to say that I just absolutely could not get into this book. It is written from the viewpoint of Virginia Woolf's sister Vanessa. Vanessa is writing in her journal. There are also a smattering of telegrams and notes from friends. But I never felt that I got to know the characters. Most of them I really had no desire to get to know, but there were a couple I would have liked more on. Vanessa is portrayed as the saintly sister that tolerates Virginia's behavior. I found Virginia to be a total I have to say that I just absolutely could not get into this book. It is written from the viewpoint of Virginia Woolf's sister Vanessa. Vanessa is writing in her journal. There are also a smattering of telegrams and notes from friends. But I never felt that I got to know the characters. Most of them I really had no desire to get to know, but there were a couple I would have liked more on. Vanessa is portrayed as the saintly sister that tolerates Virginia's behavior. I found Virginia to be a totally unlikeable person. She is portrayed as very self-centered and vindictive. Sophie, the cook, used the last of a precious spice in the preparation of potatoes fro Virginia. Then Virginia refused the dish. At that point I truly disliked her. Virginia was in love with her sister and thus extremely jealous of her. She deliberately inserted herself into Vanessa's marriage. She made rude comments about Vanessa's size when she was pregnant. Then she made offensive comments about the babies once they were born. Their friends were portrayed as predominantly snobbish self-absorbed spoiled rich kids. These friends were mostly known as the Bloomsbury Group, a group of artists and writers. They hung out at Vanessa's home and gossiped, griped, and dreamed. It was a struggle for me to get through it. There was a lot of name dropping that did not impress me. At times I was overwhelmed by the number of characters. While these was a list of characters at the front of the book, I had an electronic copy so could not print or copy it. I laboriously copied those pages by hand so I did not have to try to flip back and forth (which is extremely difficult in a digital copy). My favorite character was Lytton Strachey, one of several homosexuals in the tale. But even with Lytton I did not get to know him. There were also "Sapphic" affairs. Let me start by saying that I really enjoyed listening to this story. Each character was read by a different person, giving them personality and voice. The format of a story being told through diary entries, letters, postcards and telegrams was, I think, meant to bring that "inside" thought of a person to the surface, to give depth and insight, perhaps, and to bring out the real person. The story of this group, told mainly through Vanessa's eyes is fascinating. So much was happening in those days Let me start by saying that I really enjoyed listening to this story. Each character was read by a different person, giving them personality and voice. The format of a story being told through diary entries, letters, postcards and telegrams was, I think, meant to bring that "inside" thought of a person to the surface, to give depth and insight, perhaps, and to bring out the real person. The story of this group, told mainly through Vanessa's eyes is fascinating. So much was happening in those days. It must have been an exciting time to live (if one were in the right circles). So, why the 3-star rating? It took me awhile to figure out why, as much as I was enjoying the book, I didn't find it extraordinary in any way. Here it is: It's passive. It's about a group of privileged people who spend their nights partying 'til all hours, philosophizing about Life and The World and travelling when their minds turn to it. These people don't live lives like most of us: with schedules and responsibilities. They hire nannies, cooks, cleaners. They drink tea, go to the theatre, discuss Love, Life and Whatever. It all comes together in a rather "surface" & pompous way. While other books with characters of privilege can carry it off, these characters come across arrogant and removed in many ways; outside of us. That makes this book sound bad, which it isn't. It's interesting and I wasn't bored for one minute. It shows a Bohemian lifestyle that is avant garde and exciting, if one could live it. But it also shows lives that don't contribute. That said, this group was amazing in their talents and that itself is a contribution to Life. Their talents and works are not disputed. It's their personal lives that seem self-contained, often detached, arrogant and removed. It's a group of people that would not do well with the rest of us because we're too ordinary. I went through some ups and downs with Vanessa and Virginia. For the first 150 pages I just loved everything and soaked it all in, the characters and the ideas and the lovely beautiful moments. I've always found the Bloomsbury group fascinating, and I enjoyed the scenes featuring their debates and conversations. Then, to be honest, I got a little sick of how lovely and beautiful everything was. Too much bliss is just tiresome. I began to question Parmar and her writing, with all the characters n I went through some ups and downs with Vanessa and Virginia. For the first 150 pages I just loved everything and soaked it all in, the characters and the ideas and the lovely beautiful moments. I've always found the Bloomsbury group fascinating, and I enjoyed the scenes featuring their debates and conversations. Then, to be honest, I got a little sick of how lovely and beautiful everything was. Too much bliss is just tiresome. I began to question Parmar and her writing, with all the characters narrating themselves so neatly, all their correspondence so conveniently expositional. And everything—at least four sentences out of five—is metaphor and simile on top of metaphor and simile, and come on already, can we please just have a few straightforward unembellished sentences for a while? But then the bliss ends, as bliss does, with a betrayal and several frustrating developments; I went through a period of disgust and sadness and anger and wishing with gritted teeth. They won me back, Vanessa and Priya Parmar, and the second I finished the book I started scouring my bookshelves to find something that would let me stay in that world. I only have Morgan Forster and A Room of One's Own, so instead I watched The Hours and cried and tried to sketch Virginia Woolf in a Deckchair in my art journal. I know it’s not fair to dislike a person because of mental illness, but as I read through this wonderful, beautifully written novel the Virginia Woolf as Parmar portrayed her often made me furious. Much of her young Virginia Stevens, nee Woolf’s, ‘illness’ seems behavioral, and to stem from a coddled narcissism, as much as some possible chemical imbalance. I had to keep reminding myself that this wasn’t the Real Virginia, but a fictional construct. The idea of sensitive artist as crazy person (or maybe that should be the other way around) is a fiction itself, in my experience; most of the fulfilled creatives I know personally are as ‘normal’ as their non-art-making counterparts—and in some cases more so. In Vanessa and Her Sister, Parmar seems to suggest a Virginia Woolf who has partly been damaged by those around her caving to her tantrums and moods, by walking on eggshells, as it were, as much as by some sinister organic cause. Parmar recreates a plausible Post Victorian environment where women are not yet freed from the myths of Hysteria and the like, and both Virginia and Vanessa live lives that are circumscribed by male dominance in the guise of ‘protection’. Near the end of the novel the vivid and frightening reminder of the era’s treatment of women comes through with particular subtle horror as Vanessa reveals to Clive—her slime-ball spouse, who first stalked her into marrying him, knocked her up, then lost interest when Vanessa then had a baby dependent on her and he was no longer the center of her attention, and proceeded to openly chase both her sister, and the offstage but large-looming Mrs. Raven Hill—a conversation she’s had with another man about a new theory that madness might stem from ‘infected teeth’ and that some success had been achieved by removing lots of them from the heads of female sufferers of mental illness. (I just bet! Can you imagine?) At this point in the novel it's clear that some form of psychiatric quackery might come down on Virginia, and the effect is gut-chilling. Especially since she is not the only ‘mad woman’ in the novel. There’s Roger Fry’s poor wife, who spent the latter half of her life in an asylum and eventually died there. The cause of her death is revealed in an afterward to have been from “an incurable thickening of the skull”. Kudos to Parmar for making us see both the mischief wrecked by a possibly truly ill family member juxtaposed alongside the circumstances of a repressive society; brilliantly done. Full disclosure: I first bought VANESSA AND HER SISTER for my ereader, but after forty pages, I was confused by the characters and their nicknames, and could not sink into the very specific rhythm of the story that I sensed was there. Books have a funny way of whispering in my ear, however, so after a few weeks, I purchased the hardcover. Within ten pages I was spellbound by the gorgeous prose, the unique structure, and the very real women and men peopling the story. Assembled as a series of let Full disclosure: I first bought VANESSA AND HER SISTER for my ereader, but after forty pages, I was confused by the characters and their nicknames, and could not sink into the very specific rhythm of the story that I sensed was there. Books have a funny way of whispering in my ear, however, so after a few weeks, I purchased the hardcover. Within ten pages I was spellbound by the gorgeous prose, the unique structure, and the very real women and men peopling the story. Assembled as a series of letters, diary entries, and telegrams, Parmar's writing is literary, witty, visceral, and captivating. I struggled to find just the right quote to include in this post because I underlined, starred, and dogeared at least a third of the book. (Another plug for paper: one cannot vandalize an ebook in such a satisfying way!) Whether one pauses in a sitting to savor the language, or grows full from devouring large portions of text, either case will leave the reader satisfied and eager for more. If you do not know anything about Virginia Woolf's family (as I did not), do not seek out information. Allow this book to begin your education on the fascinating Stephens siblings; allow it to surprise, thrill, anger, and move you as the novel unfolds. If you do have knowledge of the family and the artists of the Bloomsbury Group, enter their space as you never have before to gain new understanding of their movement. "Yes, the public are disconcerted, but that is how art must happen. It cannot be a comfortable, smooth transition from one aesthetic to another. It must bump and jostle and disrupt and shake the ground until the ground gives way...The old does not politely move over to make way for the new; it must be roughly shouldered aside." Priya Parmar does just this through her experimental style. She disrupts the common form of the novel and presents us with a telling of such intimacy and immediacy, it is as if the characters are whispering in our ears, conspiring with us. I did not want this book to end, and when it did, I went back to the beginning and started re-reading it. I will keep VANESSA AND HER SISTER close at hand, revisiting the story often for enjoyment and for craft study. I shudder to think that format almost kept me from enjoying one of my new, all-time favorite novels. If you are a fan of historical fiction, of literary fiction, or of being moved by spectacular writing, I highly recommend VANESSA AND HER SISTER. Oh, I tried to like this book. I tried *hard*. But Vanessa is deeply dull, and her more famous sister, Virgina (Woolf) is not at all appealing. I forced myself to keep reading, though, slogging through at an ever slower and more reluctant pace until it finally dawned on me: this is all really, really boring. This novel, in the form of journal entries, train tickets, telegrams, and post cards is written largely from the point of view of Vanessa Bell, Virginia Woolf's less famous artist sister. It focuses on the activities of the Bloomsbury group, their seemingly endless and shifting sexual affairs with each other, their petty (and sometimes not so petty) bickering, and their betrayals of each other. Given its subject matter, the novel is for a rather select readership: those who are interested in the This novel, in the form of journal entries, train tickets, telegrams, and post cards is written largely from the point of view of Vanessa Bell, Virginia Woolf's less famous artist sister. It focuses on the activities of the Bloomsbury group, their seemingly endless and shifting sexual affairs with each other, their petty (and sometimes not so petty) bickering, and their betrayals of each other. Given its subject matter, the novel is for a rather select readership: those who are interested in the personalities who surrounded Woolf. Parmar provides sympathetic insight into what it might have been like to be Woolf's sister: not easy. Parmar makes clear (and I recall from my reading of biographies of Woolf that this is well supported) that, as well as being plagued by episodes of madness, Woolf was jealously obsessed with her sister, manipulative, and destructive. The central event in the book is Woolf's non-sexual affair with Vanessa's husband, Clive Bell. While it is hard to disagree with Lytton Strachey, a flamboyant homosexual and biographer, that Clive was indeed a "pig", Virginia's insidious flirtatious scheming certainly played a significant role in the failure of the marriage. In Parmar's story, Clive is not unlike Virginia in his jealousy over his wife's attention to their children, Julian and Quentin. One tends to look back on the Bloomsbury group as a wild, and rather amoral collection of creative, self-centered individuals. Parmar does a service to Vanessa in explaining why she made some of the choices she did. Additionally, the reader feels some sympathy for the many challenges in having Virginia as a sister. The novel focuses on a rather brief period in the two sisters' lives: from the time the adult Stephen children (Vanessa, Thoby, Virginia, and Adrian) moved from the family home into the then rather unfashionable Bloomsbury district of London to the time of Vanessa's marriage to Clive Bell and her early motherhood. 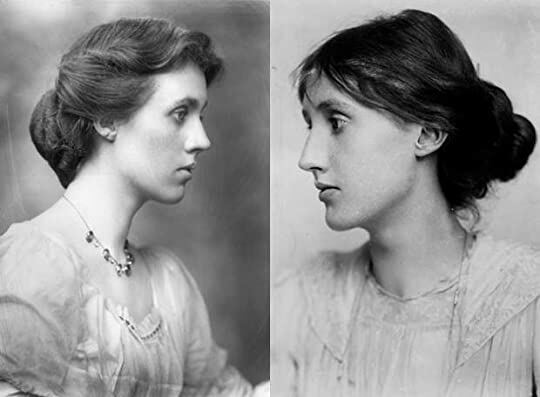 VANESSSA AND HER SISTER ends with Virginia's marriage to Leonard Woolf, which the novel suggests was largely orchestrated by Lytton Strachey, and Vanessa's love affair with Roger Fry. No doubt Parmar thought this period was the critical one in Vanessa's life--the years in which her more conventional attitudes to marriage and motherhood were trampled by her traitorous husband and difficult sister. VANESSA AND HER SISTER interested rather than charmed or moved me. I read out of intellectual curiosity to find out what Parmar was going to do with Vanessa's story. I felt the work suffered somewhat in depicting Virginia so much from the outside. Parmar's Virginia is deeply unsympathetic. We were told repeatedly, through many characters, how beautiful and brilliant she is, but we can never quite believe it because for Vanessa (whose perspective is the dominant one here) she seems a painful and ongoing trial. I really, really enjoyed this book, and was sorry to come to its end. It is a fictionalisation of the life of Vanessa Bell (1879-1961) and her sister Virginia Woolf (1882-1941) between 1905 and 1912, and I wanted to know what happened next. Well, I know, of course, what happened next. The war; Vanessa becoming a noted avant-garde artist; the founding of the Hogarth Press; and Virginia becoming a famous writer and her suicide. But I wanted to read about all that from Vanessa’s point-of-view and sa I really, really enjoyed this book, and was sorry to come to its end. It is a fictionalisation of the life of Vanessa Bell (1879-1961) and her sister Virginia Woolf (1882-1941) between 1905 and 1912, and I wanted to know what happened next. Well, I know, of course, what happened next. The war; Vanessa becoming a noted avant-garde artist; the founding of the Hogarth Press; and Virginia becoming a famous writer and her suicide. But I wanted to read about all that from Vanessa’s point-of-view and savour her further voyage of self-discovery; and to relish this author’s delicious prose and startling imagery, so apt for a novel mostly narrated by a visual artist. (The novel is a pastiche: there are also ‘telegrams’, ‘postcards’ and the occasional brief letter by other characters, but it is Vanessa’s narration that carries the book). Fortunately for me, and for most other readers who are intrigued by the devoted, gifted sisters who defied convention, expertise in the oeuvre of Virginia Woolf is not required. I’ve read eight of Woolf’s novels but (with the exception of Orlando reviewed here on my blog) that was so long ago I am not tempted even to write a brief review at GoodReads; and I have the Victoria Glendinning bio of Leonard Woolf, but I haven’t read it yet. So I read Vanessa and her Sister as I think most people would, on its own terms, and I enjoyed it very much. The novel begins when the Stephen sisters have set up house with their brother Thoby and Adrian in pre-war Bloomsbury. Their parents are dead, and with their glittering circle of Cambridge friends, they are deliberately flouting convention. In what must have been a nightmare for servants used to routine, friends drop in at any time, and they stay till the small hours of the morning. They abandon conventions of dressing for dinner (which was probably a relief for the servants, less laundry), and – it seems droll now that this was noteworthy – they were careless about the gender balance of their guests. But they are not nonchalant about all this: they expect to be noticed. I was privileged to have received this advance copy book via NetGalley for my fair and honest review. I knew nothing of the "Bloomsbury Group" other than having heard the term at some point; it remained in the dark recesses of my mind. I heard the name "Virginia Woolf" before, but only in the title of an Elizabeth Taylor/Richard Burton movie from the sixties. I love reading about Victorian London and artists, literary and otherwise, so for those reasons alone I was drawn to this book. I wasn't exp I was privileged to have received this advance copy book via NetGalley for my fair and honest review. I wasn't expecting to be completely enchanted by the writing style, in which the words of these artistic Britons came alive and crackling on the page. I felt like I was sitting in their drawing rooms, in the middle of a provocative conversation with cigarette smoke swirling and servants offering cake. The first few pages of the book contain a cast of characters with their respective nicknames which was initially overwhelming. As I began the book, the main character/narrator painter Vanessa Bell lured me in and continued to captivate throughout the book. At first it was a bit confusing following the cast of characters with their odd nicknames. However, even if you lose track of a few characters, the core unit of the Bloomsbury Group is enough to propel you throughout the book. They explored and stretched the boundaries of art and personal relationships, making for quite a provocative read. I came to realise that these avant garde artists and writers actually existed and it sparked further research on my part outside of this book to discover and enjoy their work. For that reason, I feel that this book is a treasure to be mined. As you read along, you will hear titles of books and their authors (which are characters in the book) that have been made into movies in recent years. "Howard's End" and "The Hours" are two of them. Reading this book will prompt many to procure the writings of Virginia Woolf, Lytton Strachey and others from the Bloomsbury Group as well as view films about them. DNF at 25%, not my cup of tea I think. The writing seems ok and the subject matter isn't bad, honestly I think learning about Virginia Woolfe's painter sister is rather interesting, but the story itself isn't getting my attention at all. I'm not moved by these characters enough to care. To be paired with the BBC mini-series 'Life in Squares', like a great cheese/wine combo. It must be in my top 3 'Books I wished I could live in'. Firstly, I stopped reading on page 76. This is the third book I have read this year that has disturbed me by the author taking a proprietary fiction from real-life characters. "Shirley," actually used a lot of fictional quotations from Shirley Jackson and even her children who are alive today. It made me very squamish. Just whose life is it anyhow? "The Master's Muse" was a novelization of the marriage of George Balanchine and Taniquil LeClerq. Why not write a biography? These books strike me as Firstly, I stopped reading on page 76. This is the third book I have read this year that has disturbed me by the author taking a proprietary fiction from real-life characters. "Shirley," actually used a lot of fictional quotations from Shirley Jackson and even her children who are alive today. It made me very squamish. Just whose life is it anyhow? "The Master's Muse" was a novelization of the marriage of George Balanchine and Taniquil LeClerq. Why not write a biography? These books strike me as lazy. The authors take advantage of famous names and spin a "novel" which will attract fans of Shirley Jackson, the NYC Ballet and the Bloomsbury Circle. Why not concede that the entire group is fictional and then feel content with trying to attract the attention of readers? I suspect that readers will think that this is what Vanessa Bell wrote and thought. Why not write a novel about an Edwardian painter and her younger sister, a writer, and their friends and create the characters out of wholecloth? The conflation of fact and fiction is always tenuous so why set out to make it even more so? How is this novel any different from the murky memories (or were they lies?) of Brian Williams? And if you say, "Well, this is fiction--it's a novel" then why use a real family and group of characters? I have the same sense about Bruce Jenner who will do a reality show on the entertainment network about his transgendered life. Would I have preferred a sober, somber documentary on PBS? Actually, yes. Obviously I stopped reading early so this is not a review of the entire novel but of the concept and the first portion of a the so-called novel. I did see a factual "What became of them" at the end of the book which only serves to keep the boundaries between Parmar's fiction and a the historical facts murky. I vaguely know of the characters this book is based on, but after reading the blurb, I was very interested in reading Vanessa and Her Sister. However, once I started reading, I had a hard time paying attention. The pacing felt too slow and disjointed and I believe that’s because it’s told in journal entries and letters. While I love stories told like this, I do realize that it doesn’t work well for everything. I tried my best to continue on reading until the story picked up, but it didn’t happen soon enough to keep me interested. I believe, though, that I may potentially come back to this book at a later date and time and try again. I normally don’t do that for books that I mark DNF, but I believe there’s potential here and I may just not have the patience to find it right now. Well, I'm sad to report this book just isn't for me. I don't like the writing style at all. I don't like that there is a list of characters and then I'm supposed to figure out whose who without really having the characters introduced or explained to me in the course of the story. It makes for a very confused, disjointed read. Obviously there are those who loved the book. It was actually given to me by a friend who raves about the story. So, clearly this is a matter of taste. For me personally I' Well, I'm sad to report this book just isn't for me. I don't like the writing style at all. I don't like that there is a list of characters and then I'm supposed to figure out whose who without really having the characters introduced or explained to me in the course of the story. It makes for a very confused, disjointed read.